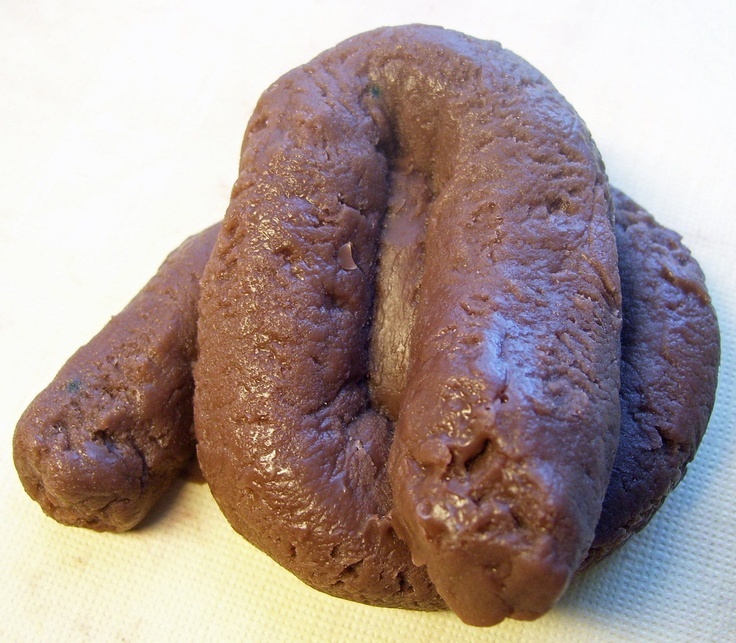 A soap shaped like a dog turd, something which we would usually avoid making direct skin contact with at all costs because of it’s filthy and germ ridden nature, but in this instance is necessary in order to make your hands clean. I think this is probably the best example of this that I have found as it contrasts so perfectly between it’s function and it’s associations. 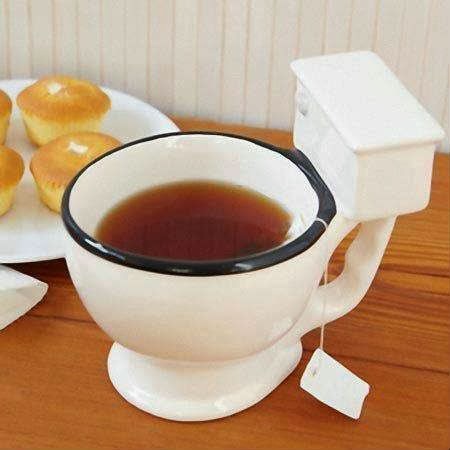 While not such a direct association as the turd-soap, I find this toilet shaped mug both clever and funny, making an association that never would have occurred to me with the colour of a cup of tea and filthy toilet water. It shows how important context can be, and that putting the dark coloured water into the context of a toilet gives it a completely different association. However I think this is far less “disgusting”, probably due to the change in scale of the toilet breaking the illusion of the context change, and therefore making it easier for us to recognise that it is not in fact dirty toilet water. 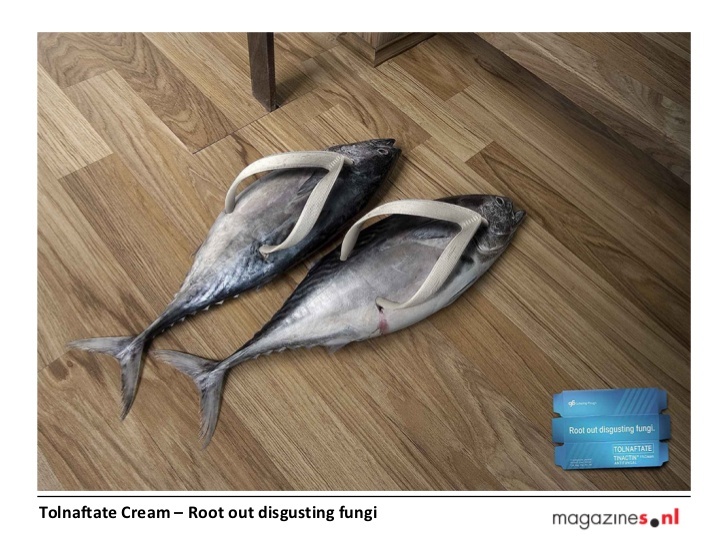 I think what amuses me most about this picture is the absurdist element of trying to use a fair of fish for flip flops. Everything about this image is ridiculous, imagining how a person would balance on the slippery fish, the sound that they would make slapping along the ground, the smell as they start to decay, they are just completely unfunctional in every sense. However I don’t think this quite hits upon the idea of disgust, as I don’t think dead fish are something we immediately associate with disgust. Perhaps if they were more obviously rotting, as rotting fish is widely considered a disgusting smell, but these fish look too similar to live fish which we have no issue with. This image however goes in the opposite direction, with it being entirely based on disgust, but then having no real functional element. What made the fish sandals funny is while they were “unfunctional” in the sense that they fulfilled their purpose so poorly as to be ridiculous, it was ridiculous because you could imagine a scenario in which they were being used. 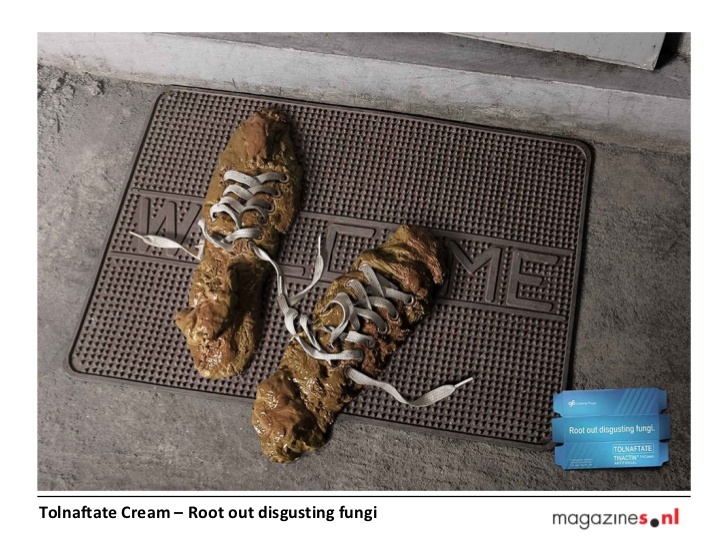 These “shoes” however do not in fact have any function at all, and while disgusting as images they do not engage the viewer, you do not imagine trying to place your foot inside it and use it as a shoe, it is disgusting simply because it is feces, and while the laces add to the narrative of the image it does not make it funny. These two pictures go to show that its a fine balance between disgust and function that makes an item humorous. 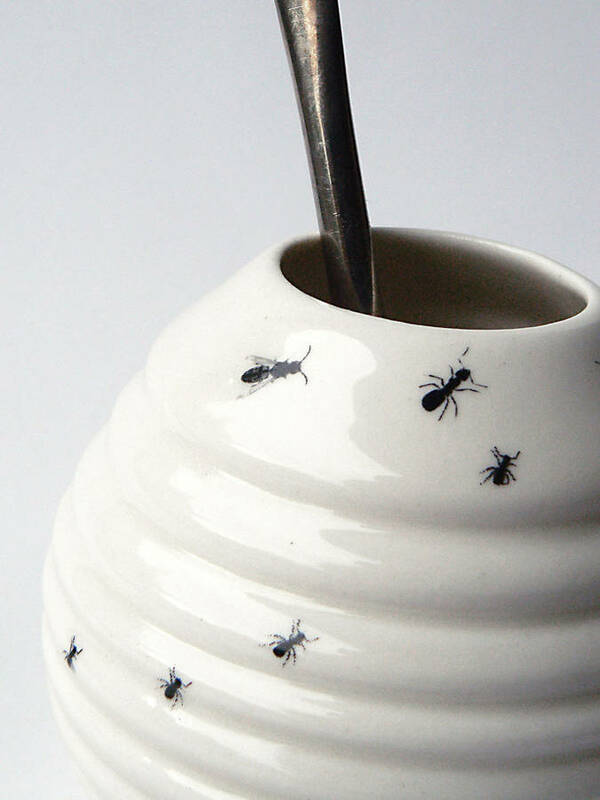 Looking at these two pieces by Kina Ceramic Design, they are good examples of my idea. 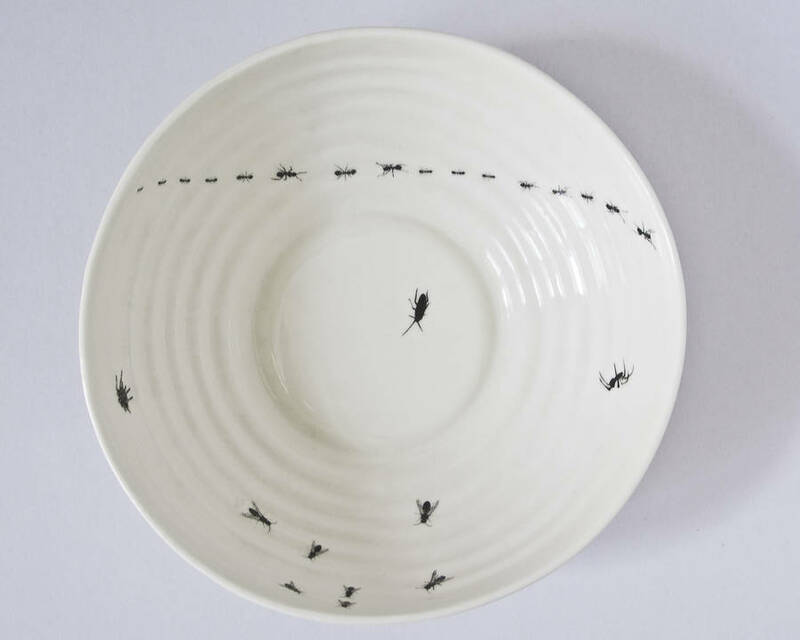 However, I would say that the very deliberate way in which the insects are laid out across the plate, in almost a pattern with ants walking in a line across one side, with various other insects in groups elsewhere, detracts from the illusion of it being “real”. 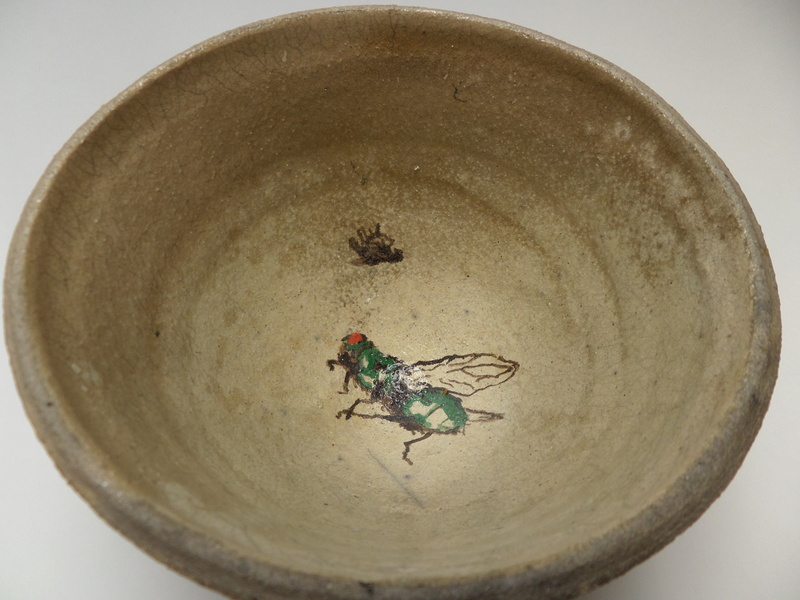 Not only this but the insects aren’t necessarily technically accurate, and strike me as being more “drawings of insects” than accurate representations of insects themselves which I tried to capture in my drawings for my bowls in France.